Turns out Air Canada doesn’t treat couples who don’t share the same last name too favourably when it comes to sharing vouchers. 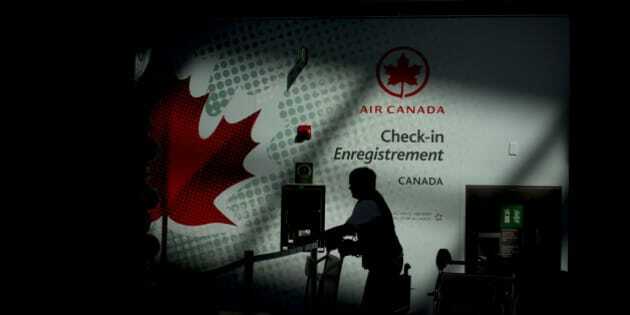 On Monday, Calgary author Chris Turner tried to transfer an Air Canada voucher to his wife, but was stonewalled by the carrier for security reasons. He then took to Twitter to share his frustration. Hey @AirCanada -- your (very helpful) phone rep tells me I can't transfer a voucher to my wife pre-flight BECAUSE SHE KEPT HER NAME. Really? @AirCanada Yup, got it. Maybe let your bosses know that those of us who are not married to June Cleaver find this deeply insulting. Others quickly jumped in to Turner's defence. But the airliner stuck to its guns. Some even went as far as to suggest sexism. Then the airliner issued a response that created more confusion than clarity over its criteria for "direct family members." Recognizing an opportunity to take advantage of some Air Canada PR grief, WestJet jumped in. @YuEuG Credits with us are transferable to anyone of your choosing. You can make the booking for them or transfer the $ their account. Despite the Twitter tirade, Turner says he'll be able to redeem his voucher but only after jumping through a few hoops first. One more @aircanada surname clarification: I'm told I will be able to use the voucher AFTER the flight. I.e. I will be reimbursed. What's at issue here with @aircanada is that if @hilksom had changed her last name, I could've redeemed the voucher when I booked. Instead, I'll now have to pay in full, submit docs post-flight, and then wait on what I'm sure is a lightning-quick @aircanada response. But to Air Canada's credit, at least the service reps were understanding. Those following this @aircanada surname thing, please note the agent on the phone said a policy change was requested by employees as well. @ameliashowalter To be fair to @AirCanada, their customer reps, who cant' change this policy, have been deeply Cdn in their empathy. @GRCorsar@buzzbishop Given how sympathetic and eager to help their customer reps have been, @AirCanada should also give them more power. UPDATE: In an email to the Huffington Post Canada Travel, Air Canada maintains their travel vouchers are fully transferable and applicable to anyone's flights. Where things get complicated is if the person doesn't share the same name with the original holder, passengers have to then apply for a refund post flight -- much like what Turner had to go through. The airlines says past cases of fraud are the reason for this but adds it's scrapping the voucher system and moving towards a system of crediting passengers with transferable gift cards. Until then, have you ever run into any issues with redeeming airline vouchers? Let us know in the comments below or on Twitter @HPCaTravel.